China's first space station burnt up in Earth's atmosphere on Sunday night, the US Joint Force Space Component Command reported. Using Space Surveillance Network sensors, US officials said the Tiangong-1 station reentered Earth's atmosphere at 8:16pm ET (00:16 UTC Monday). 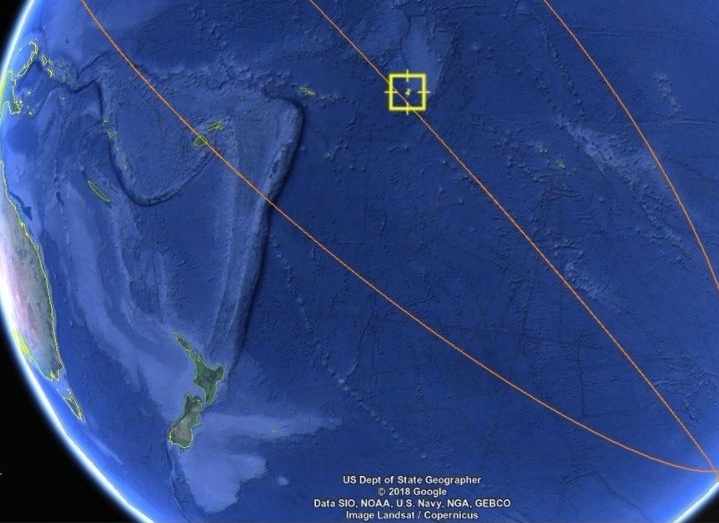 The station was over the southern Pacific Ocean, northwest of the island of Tahiti. In recent weeks space agencies and satellite trackers have refined estimates for when the station, which Chinese engineers had lost control of, would lose enough altitude to begin plummeting rapidly toward Earth, and break apart in the atmosphere. It posed virtually no threat to anyone on the ground—and indeed it did break apart over the vast Pacific Ocean—but that didn't some pretty wild speculation in recent days. Due to the track of the station it seems unlikely that anyone on land had much of a view of the reentry event. Also, there appear to have been few airplanes in the vicinity of the reentry. The best bet for any kind of imagery or video, therefore, is probably someone on board a ship. But the odds of even this seem fairly low.